Firstly... please can we just appreciate the packaging of this product! 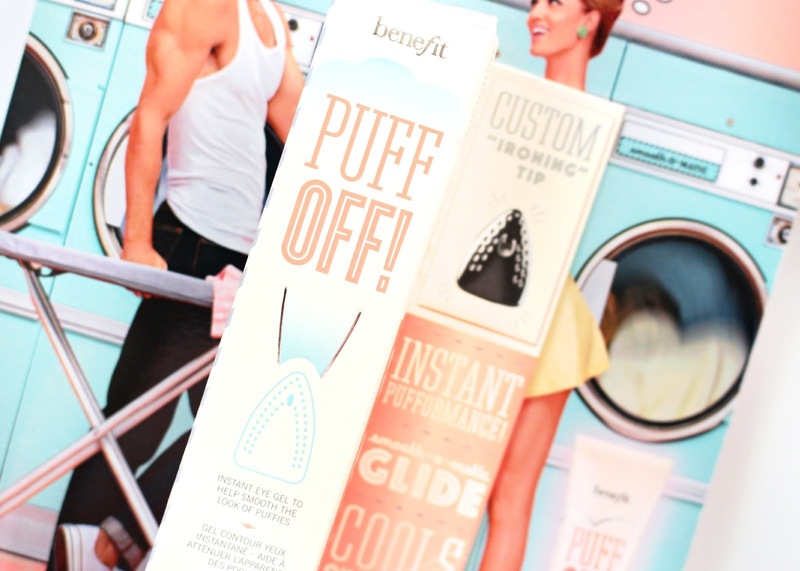 it's 100% another win from Benefit. I mean an an iron tip! I just love the idea of magically ironing away all puffiness and darkness. I suffer with insomnia, so for me the whole dark/puffy eye is a common and very annoying problem of mine. I love that the packaging is super pretty, but then its kind of rustic too with the Smooth O-Matic crest. Now onto the product itself! I have been really enjoying this product and love that it has a slight tint, which seems to instantly diffuse darkness. 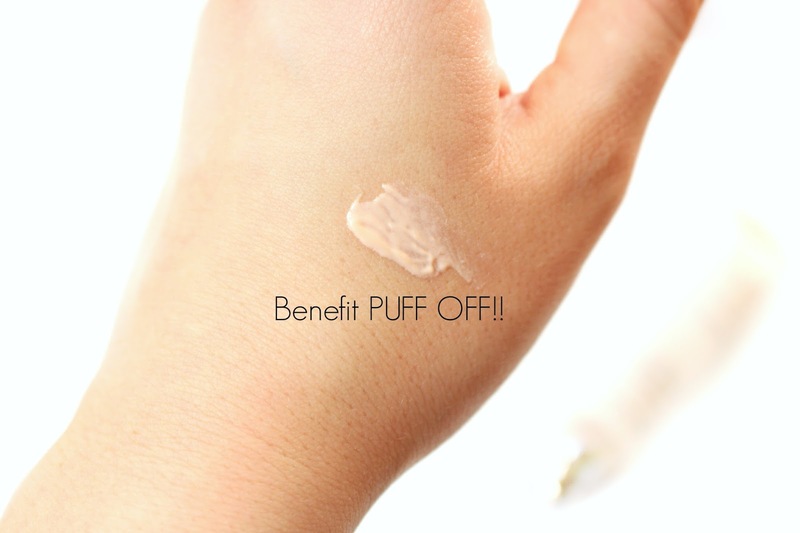 PUFF OFF definitely packs a punch with its impressive peptide formulae and I have found it works amazingly as a primer for my concealer too! seriously my concealer doesen't not budge when using this product. 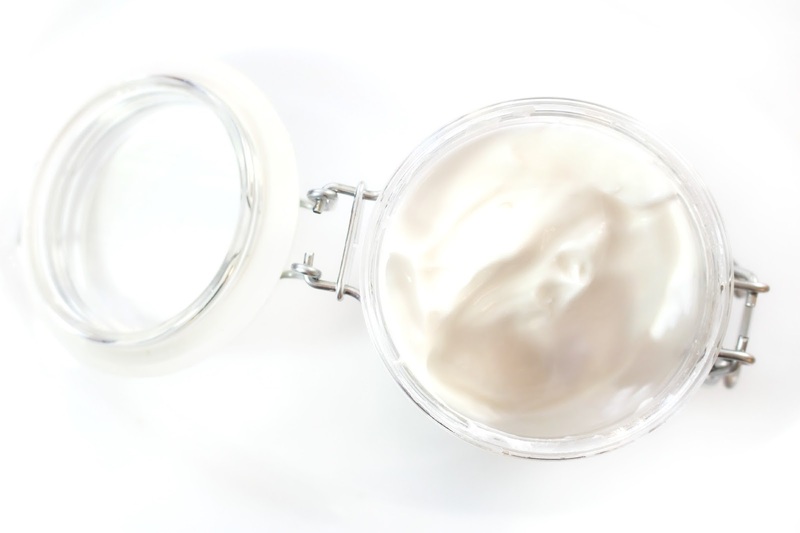 It seems to really prep my under-eye area perfectly for the day ahead and its also small enough to carry around for the odd refresh throughout the day too! 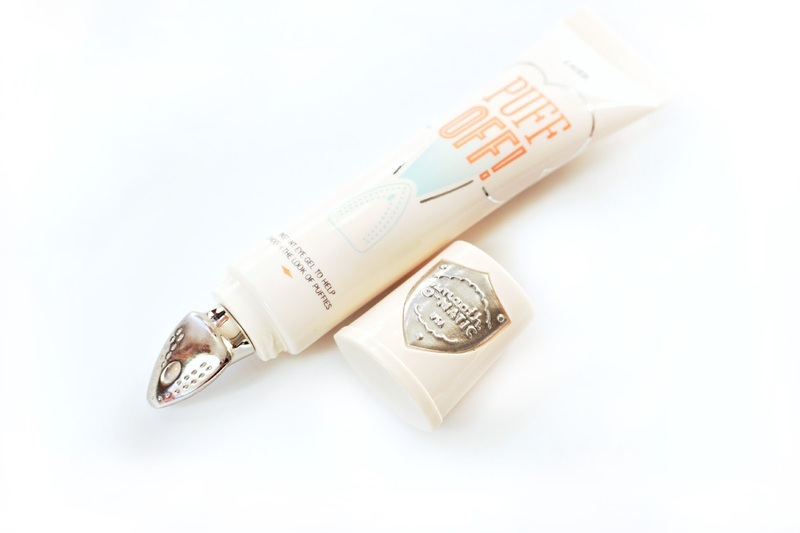 The ironing tip helps to stimulate the under eye area and, which is one of the best ways to brighten your under eye and I have found that puffiness almost seems to vanish after a few swipes of this product. The iron tip is extremely cooling and has to be the "coolest" applicator I have ever tried! The only two things I noticed with this product are the fact it's not super moisturising and it is quite a small product at 10ml. 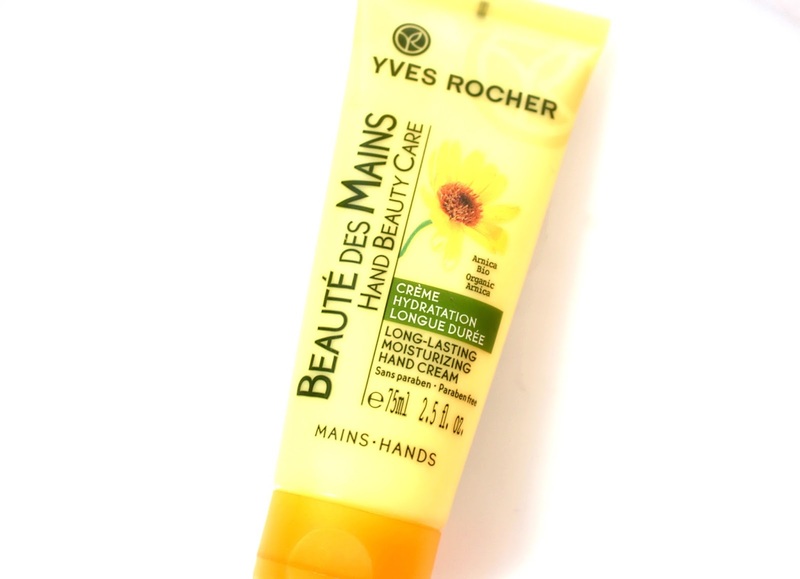 I actually think this product will work amazingly in the summer, as its extremely light weight and sinks into the skin within seconds of applying it. 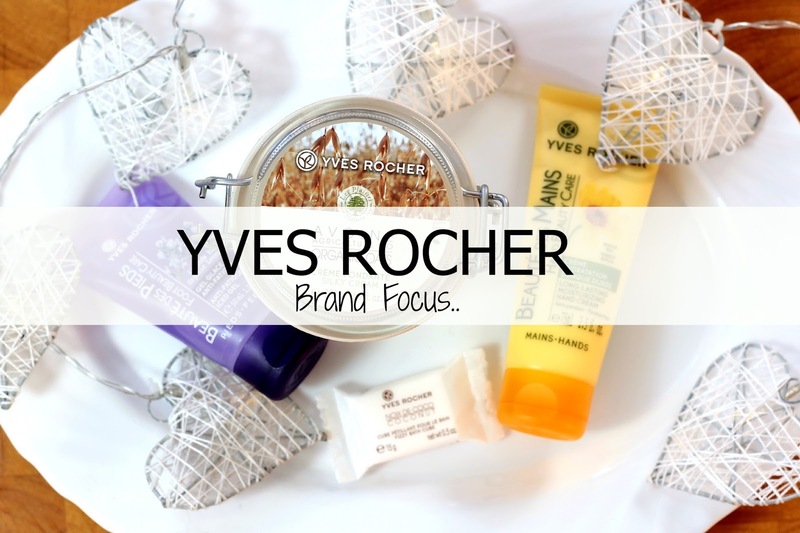 Sometimes I find normal eye-creams can be a bit thick in the spring/summer, but this is light and totally refreshing! Plus its tinted formula will be good to diffuse the appearance of any eye concerns without leaving an icky residue.... and nobody wants icky residue before makeup haha! This might not be a product you think is necessary, but it will definitely fit nicely into most peoples routine. 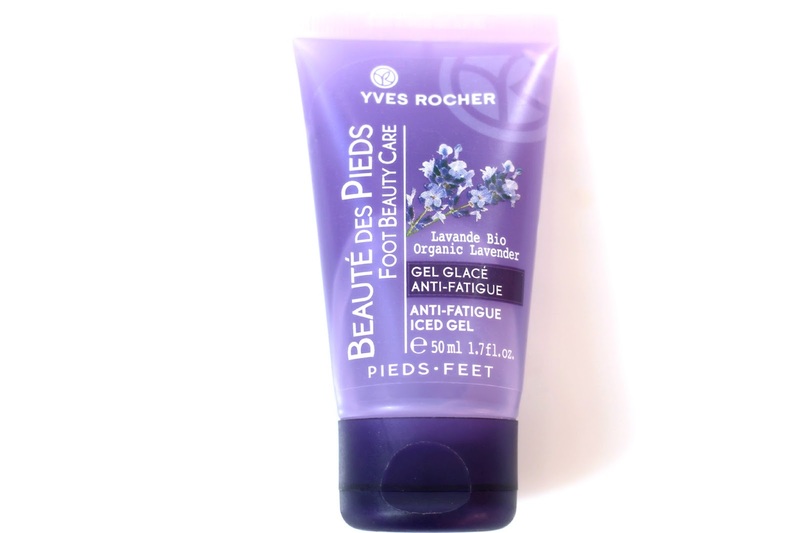 It's quite a multi-tasker and can be your eye cream, primer or simply a rescue product (If your not a morning person this is for you). I have enjoyed using it and not just because it's a pretty snazzy looking product, but I do find the tinted formula to be very useful in diffusing darkness and puffiness. It does retail at £22.50 which is quite pricey, but you never know it could be just what your tired peepers need. It launches tomorrow in the UK beauties... so don't forget to check it out! I would love to hear your thoughts on this product after my review.. is it for you? Hope you are all doing really well? It’s no secret that I love me a planner and I’m pretty sure I have at least four for 2015 already. I don’t know what it is though… perhaps I like pretty books or perhaps I just haven’t found my dream planner yet? I have always loved writing and it usually helps if I’m writing in something that appeal’s to me! It’s all about the motivation haha. 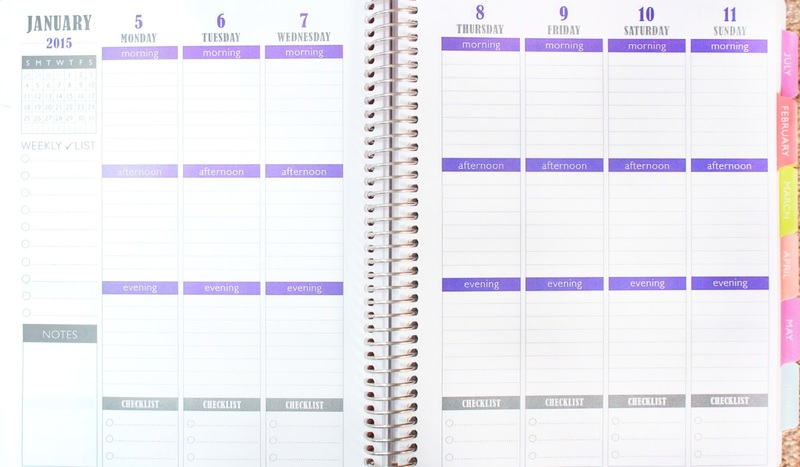 I have almost purchased an Erin Condren planner and the other day I was going to purchase a Day Designer, but both come from the USA and because they are pretty expensive to start with by the time you get the planner it would end up costing like £80 with postage and customs too. After trawling around the Internet I finally found a really cute planner that reminded me of Erin Condren… but half the price. Plum Paper are a stationary brand and are based in California and all of their planners and notebooks are handmade from start to finish from their San Diego office (Sounds pretty glam right?) I hope you enjoy today’s review lovelies and if you would like to get in contact then don’t hesitate to use my Social Media icons just to the right hand side of my blog. I would also love to hear your thoughts in the comments section down below – don’t forget to leave your links too and say hi if your stopping by from the #lbloggers/#bbloggers chats! 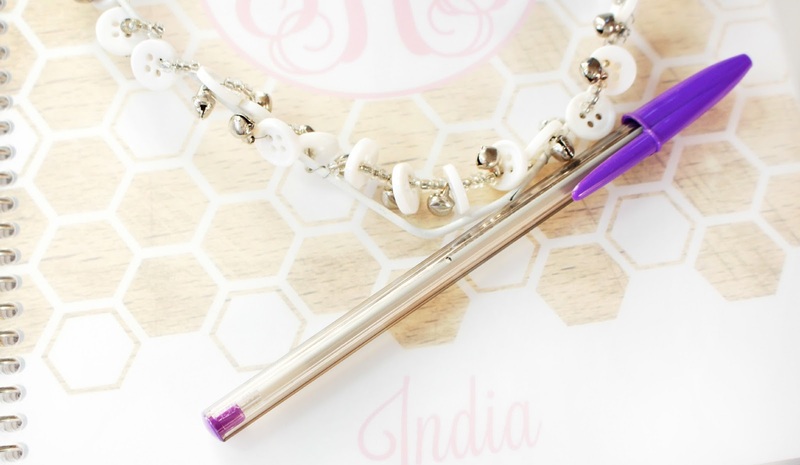 I thought I would go ahead and explain a little about why I think having a planner suited to you is so important! I’m sure you all know there are a million types of planner and also a million types of ways in which they can be set out. I tried to get along with Filofax for many years and it just didn’t work for me! I then tried quite a few from WH Smiths and Paperchase too and despite them all being lovely planner’s they just didn’t cut it. 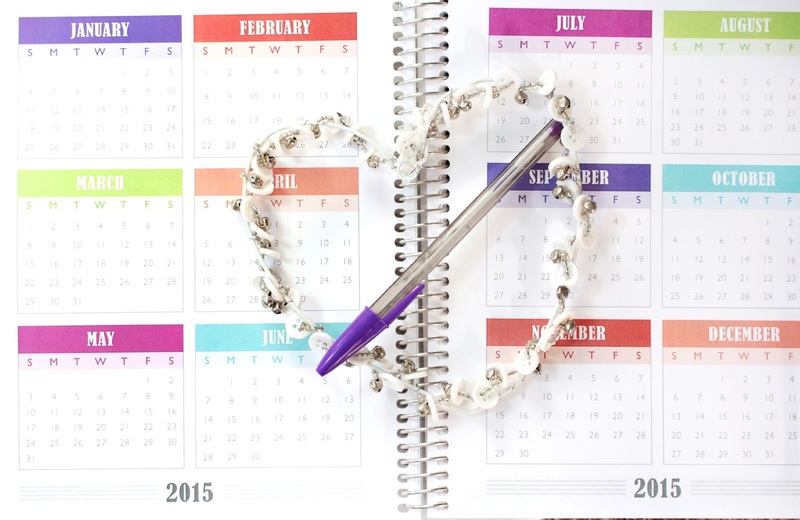 When I first found Erin Condren I was obsessed with how her planner’s were almost like a lifestyle! They could be decorated and had everything you needed to organise your life in the most stylish way. I’m quite a visual person and for me I like things to look as nice as they can.. I’m sure its just a girly thing in general though! I have always struggled to organise myself and sometimes have let my workload become unbearable. One of my main goals for 2015 is to really organise myself and find a suitable way to do so, so I'm hoping my new planner will at least help me to get into a better habit when it comes to organising my time. Firstly, I was so impressed by the huge range of planner’s available on the Plum Paper Shop. There are options for just regular planners like mine and there also planner’s for family, fitness and student’s too! The designs are great and I feel like there is really something for everyone and there is also a good range of simplistic and more detailed designs. The planner’s also come with a strong metal coil and a protective cover to ensure your front cover doesn’t get bashed around. I decided to go with the Gold Honey Comb design, with Pink writing for my monogram, which fits my taste perfectly. When you first open the planner you see a front page where you can add your name, which then leads onto a yearly calendar. My planner has a weekly layout, which is set into morning, afternoon and evening, which I think will really help me organise my days. I hate writing something in my planner and then writing something else after, which perhaps should have come before it! 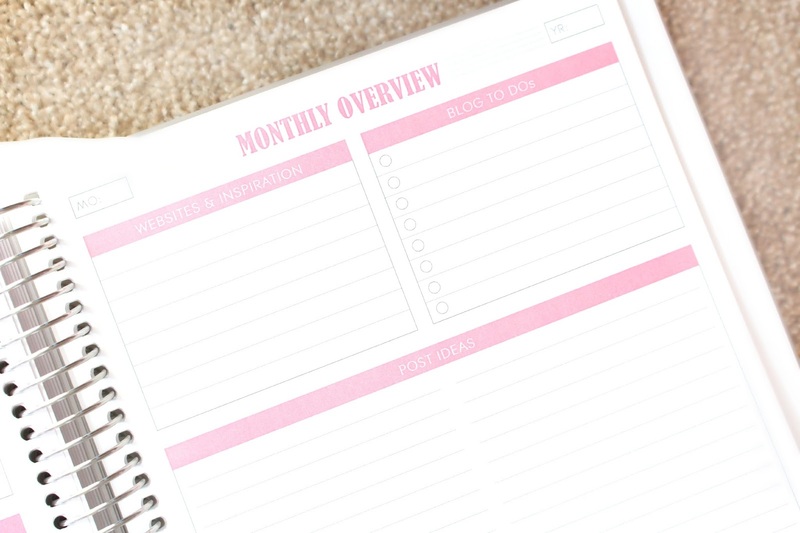 I absolutely love the laminated tabs and find that they are a great way to get to where you need to be quickly, without having to go back and forth pages.. I know you could just use a bookmark in a normal planner haha, but for me the tabs are a great organisational feature and makes the planner look a lot nicer. 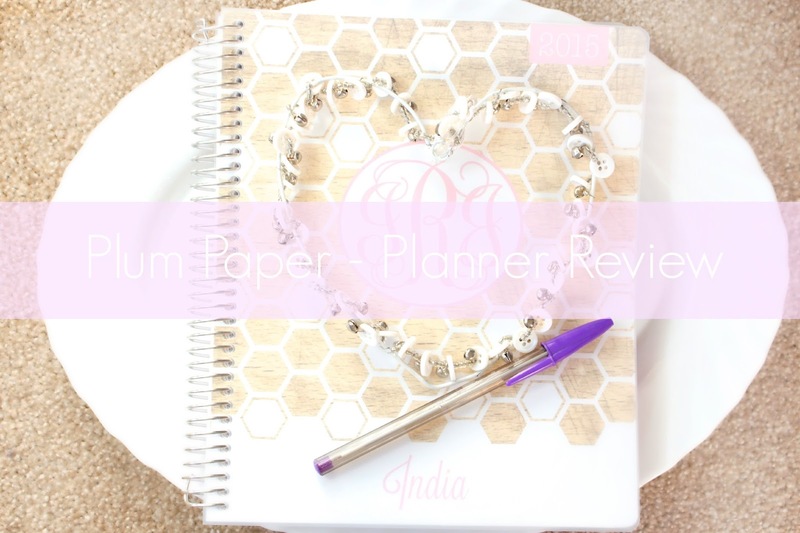 I’m so impressed with my personalised Plum Paper Planner and you get a fantastic planner for half the price of planner’s like Erin Condren and Daily Designer. Even though those planner’s look amazing!! I feel like my Plum Paper Planner is fairly similar and a much better price point! I mean I didn’t want to splash out like £80 on a planner and then not use it. I feel like my planner now suits me and I’m not trying to make my planner work for me. In total the planner cost around £35.00 including shipping/customs.. which is still not cheap, but at the same time I felt like my busy lifestyle needed a little TLC.. and hopefully having a great organiser will motivate me to plan my time more efficiently. I’m also looking forward to making my planner a hobby and I can’t wait to get a few creative bits too give it even more personality. Now you might be thinking if this Part 1 then what is Part 2? I'm actually in the process of getting together a few creative bits to show you how I'm going to personalise and decorate my planner. I would love to hear your thoughts on my new planner.. do you like the idea of a more creative and productive planner? 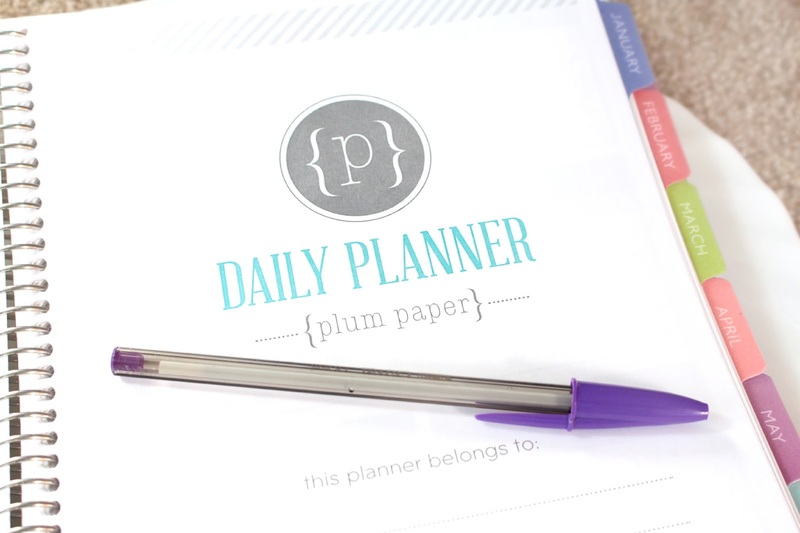 Check out the Plum Paper Planner! I must admit until about a year ago I really wasn’t fussed on Rose at all! I could really take it or leave it, as a lot of the time I find it can be slightly oldie and quite a heavy scent! However, slowly I started coming across much nicer and lighter rose scents and also some more modern variations too! It has definitely become one of my favourite scents along with Lavender in the past year.. 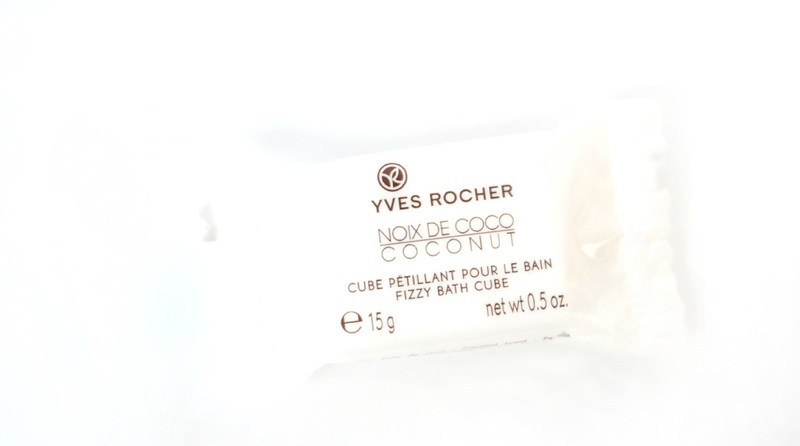 Which leads me to talk about what could possibly one of my all time favourite scents. 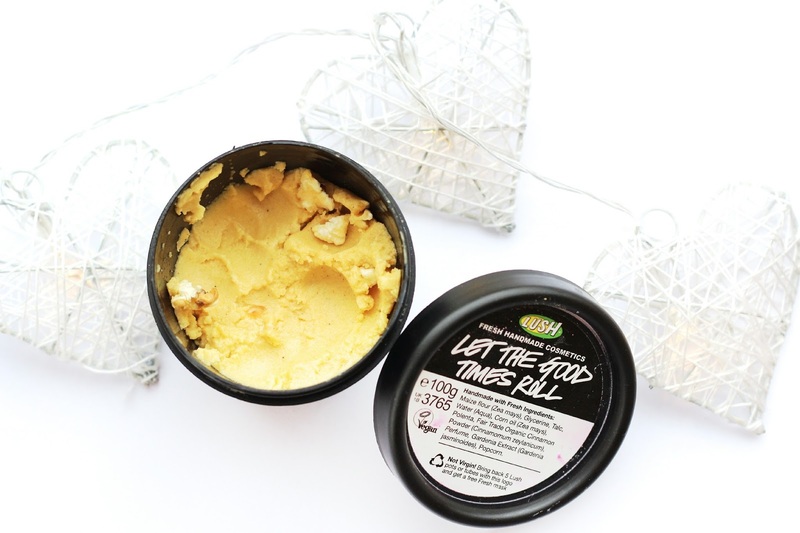 When I first smelt Snow Fairy I felt like my entire girly princess dreams had been answered and that every time I used it I was truly in sweet shop heaven. The past two years I have been totally devoted to Snow Fairy, until I came across a small version of Rose Jam in my recent 2014 Haul! For me Rose Jam is totally on the NEXT LEVEL and honestly smells better than a lot of my body sprays and perfumes. 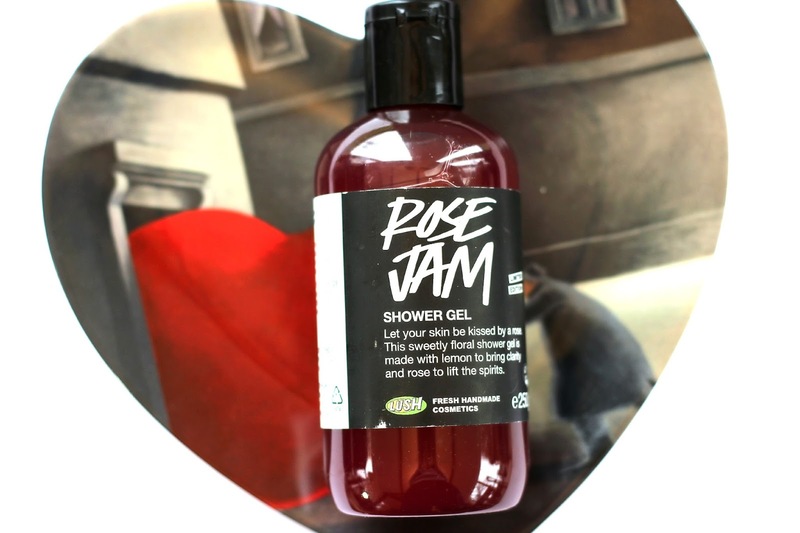 This Rose scent is far juicier and with notes of vanilla, lemon and geranium it totally transforms this shower gel into a totally addictive product. It instantly puts me in a good mood and that’s even before I get to the bottle! I was actually in work the other day having a bit of a nightmare and all I could think of was a lovely bath with my Rose Jam. The major downfall of this product is the fact that it’s a Christmas special, just like Snow Fairy! I was totally gutted, as I was expecting to be able to buy this throughout the year. However, I managed to get my hands on a 250ml bottle… which I will keep for special occasions when I need a pick me up. 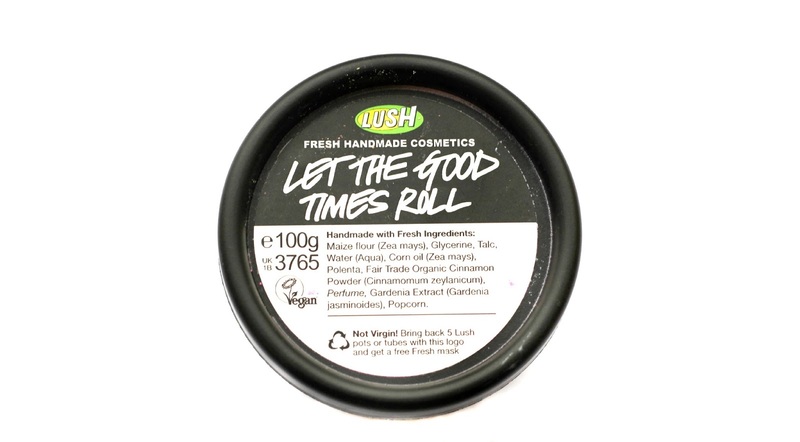 I have managed to come across some other LUSH products with the same fragrance, so my lovelies it’s not a complete disaster haha! I also purchased Ro’s Argan Body Moisturiser and the Rose Jam Bubbleroon, which share the AMAZING fragrance. I can always tell when I’m obsessed with a product, as I type super fast and just wish I could tell you all face to face how much I love this stuff!! Maybe I should start YouTube haha. Firstly, how pretty is the packaging? The Estee Lauder Perfectionist Foundation is housed in a beautiful glass bottle, which isn't actually that chunky. I love how classy it looks and the combination of Navy and Gold is just perfect! The bottle also has a great pump, but I feel as if it pumps out a little less than I would like. Normally one pump is fine for a light coverage and two/three pumps is for when I need a little more coverage. However, i struggle to cover my face with one pump from this foundation... that aside it's absolutely fantastic! 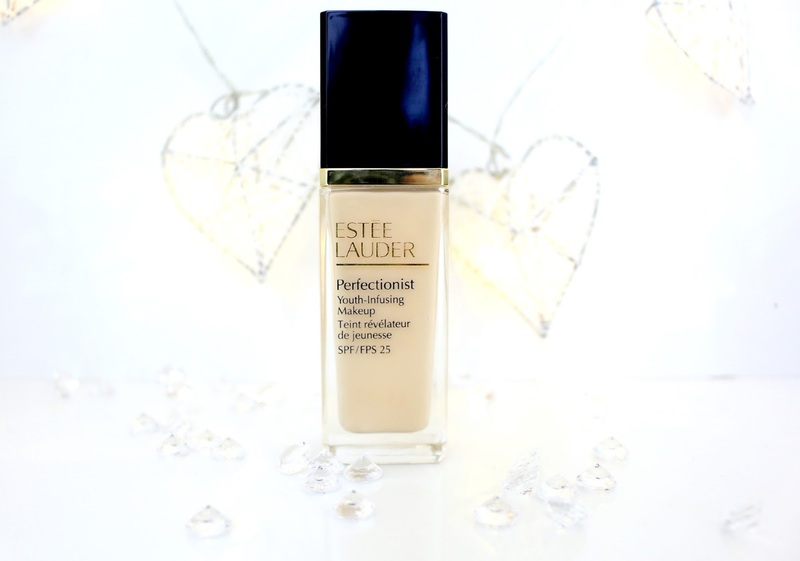 As an extension from the Estee Lauder Perfectionist range, which is aimed at smoothing lines, wrinkles and generally helping out with anti ageing, This foundation is infused with their well loved Perfectionist Serum. 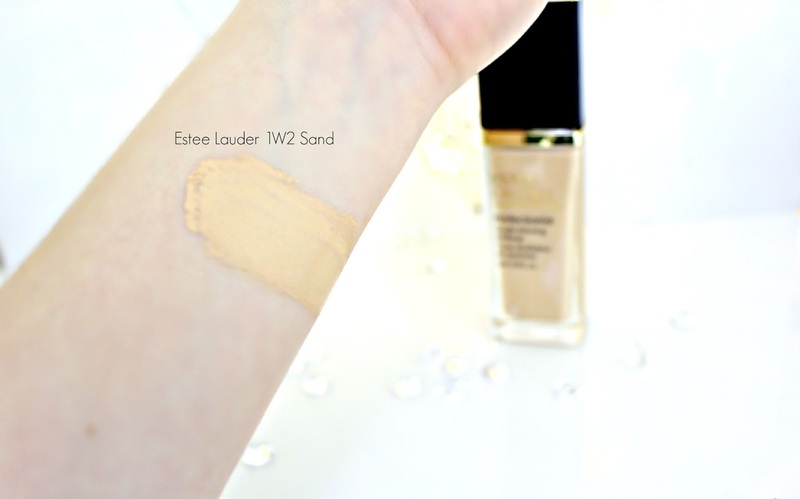 The texture is creamy, but not at all heavy and it gives a great light-medium coverage that evens out the skin tone. It's not amazing at covering those terrible boil spots that never really come to the surface, but I tend to use my heavy duty concealer for that kinda thing anyway. As soon as you apply the foundation you can immediately feel its fantastic velvety texture, which gives a lovely natural glow. It also has an SPF 25, which makes it great for everyday.. as it really does seem to cover most of the typical foundation requirements us ladies/gents have. I also have to mention it has pretty impressive lasting power, especially as it contains a serum.. which made me think it might start to separate after a while. However, It easily lasts my 8 hour working day on my normal/combo skin and I hardly feel the need to even conceal throughout the day. In terms of shades I'm 1W2 Sand, which is quite yellow toned. However, I much prefer a yellow tone, as it helps to cancel out redness. I have included a few of my foundation shades below, as this might help if you are looking to match shades. For me this was a real star of 2014 and also 2015 and I will 100% be re-purhcasing as soon as I run out. at £37 it is pretty expensive, but I feel that its good enough to warrant a cheeky splurge. I also think this would work great as a Winter foundation, as I feel the serum within really helps to keep your skin hydrated throughout the day. 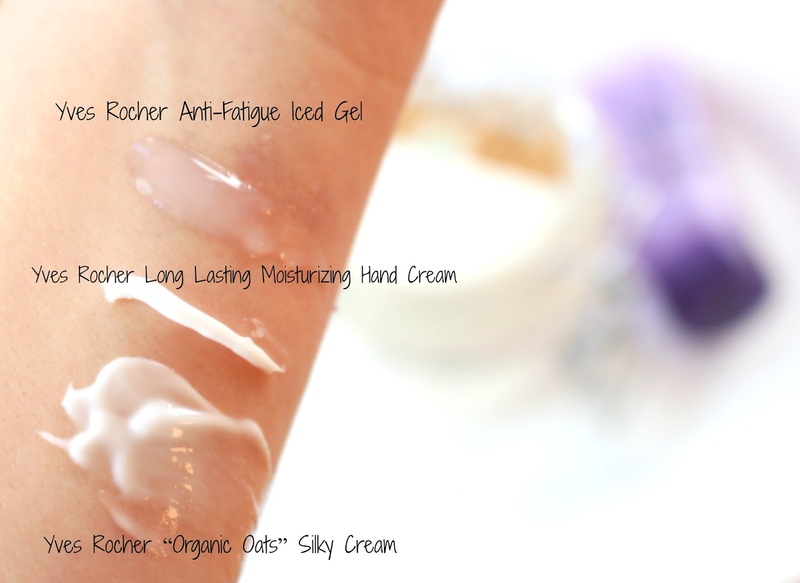 It works great even on combination skin, but if your quite oily I would recommend getting a sample first, as I'm not sure how it would suit more oily skin type. I would love to hear your thoughts in the comments section down below.. do you think this is a foundation that would suit you? 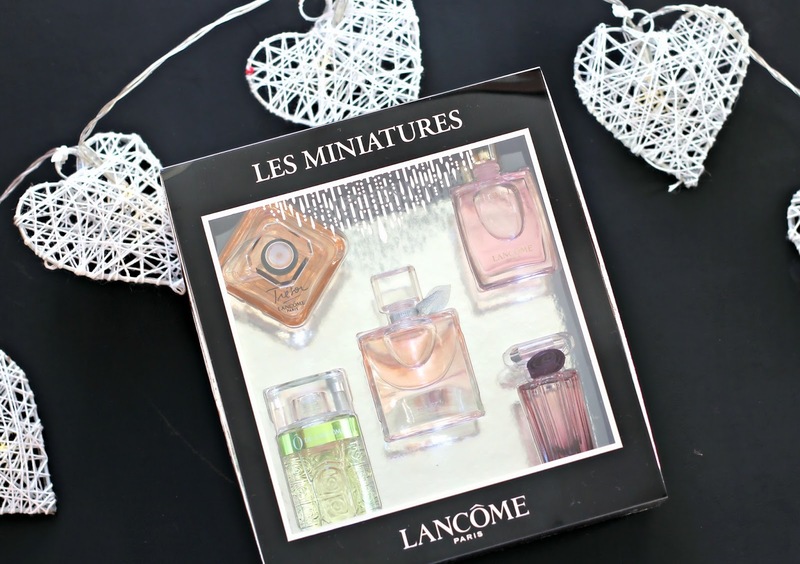 The Lancome Les Miniatures set is beautifully presented with five gorgeous mini perfumes from the Lancome range. Within the gift set you get the following fragrances, La vie est belle 4ml, Tresor 7.5ml, Tresor Midnight Rose 5ml, Miracle 5ml and O de Lancome 7.5ml. 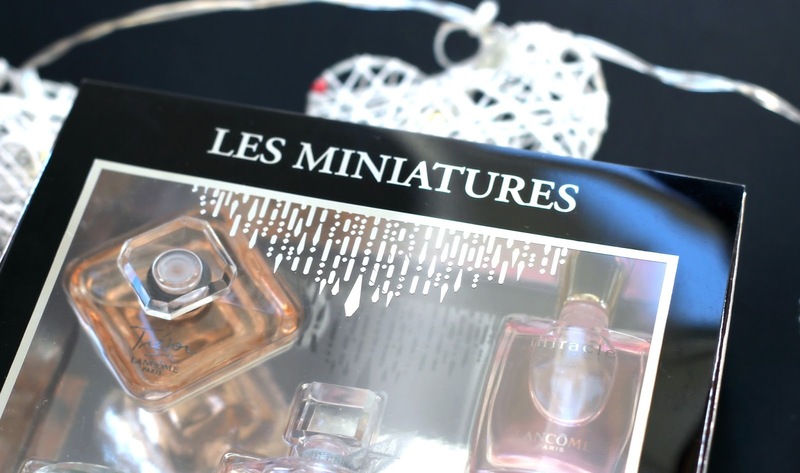 The fragrances are a beautiful mix of floral, sweet and deeper scents, which makes it super handy to just chuck one of these little minis in your bag to suit how you feel! I think this gift set is the perfect way to treat someone special for their birthday, especially with such a variety of fragrances to choose from! At least you know you won’t be spending so much on a larger bottle that might not be enjoyed. I would probably purchase this for my best friend or sister, as its also a great way to try out a new brand of perfumes, but have the chance to sample them all! Overall, for £27.00 I think you get a wonderfully packaged gift with lots of lovely fragrances! What do you think? Do you ever struggle to buy gifts for your friends/family… Especially fragrance gifts?